Just because a company hates DRM, doesn't mean they like pirates. CD Projekt, the Polish studio behind the acclaimed Witcher series has sent letters demanding nearly €1000 (about $1,300) to numerous German gamers found to have pirated its most recent game. The developer is unapologetic for the response, claiming it only affects those it's "100% sure have downloaded [the] game illegally." 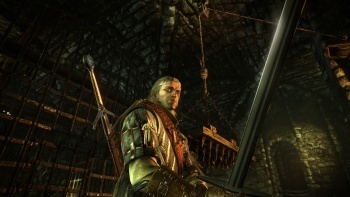 CD Projekt has been extremely vocal about their dislike of DRM since the days of the first Witcher, preferring to incentivize gamers with rewards such as free updates and DLC rather than punish them with intrusive and often buggy embedded protection software. "DRM itself is a pain for legal gamers, the same group of honest people who decided that our game was worth its price, and went and bought it," the company said during an interview with Eurogamer. "We don't want to make their lives more difficult by introducing annoying copy protection systems. "Moreover, we always try to offer high value with our product - for example, enhancing the game with additional collectors' items such as soundtracks, making-of DVDs, books, walkthroughs, etc. We could introduce advanced copy protection systems which, unfortunately, punish legal customers as well. Instead, we decided to give gamers some additional content with each game release, to make their experience complete. "However," it added, "that shouldn't be confused with us giving a green light to piracy. We will never approve of it, since it doesn't only affect us but has a negative impact on the whole game industry." This interview comes on the heels of news that, according to CD Projekt CEO Marcin Iwinski, Witcher 2 has been pirated over 4.5 million times. Compare that with the 1 million sales the game has garnered thus far. I'm not sure how the exact amount being requested as recompense was arrived at, nor do I know exactly why only Germany has thus far been the only battlefront (in 2008 it was the UK during a similar strategy taken for Witcher 1), but I can't disagree with the philosophy that you'll convince more gamers to purchase your product legally with benefits than threats. Still, if that doesn't work, and over 80% of the people who are enjoying your product stole it, what do you do? I'm not sure if sending out mass legal threats is the answer, but if it isn't, what is?